There is been a Netflix Deal for almost a year but it has not been updated since then. I decided to bring this to life again with some updates as the price is very attractive now and the method still works fine. 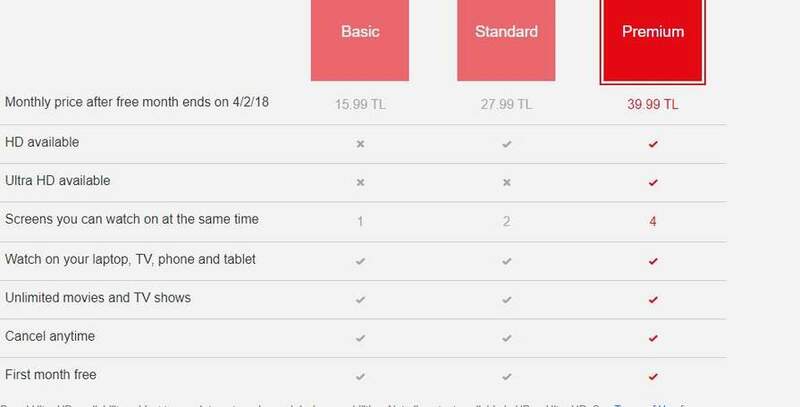 I did subscribed to a new Netflix plan yesterday using TorGuard VPN with server Turkey protocol UDP without any issues. After I subscribed I disabled the VPN and I can watch all TV Shows and Movies that are available for the UK on all devices. Notice for existing users: unsubscribe from your existing plan and wait until it expires then do as following! Do I have to use the VPN permanently for watching Netflix? No, Only one time to subscribe to Netflix. VPN gives you a new IP Adress from another Country to simulate that you are in this country + it encrypts the data sent and recived while connected. Some use a VPN to watch contents from other countries like USA Contents or watch Contents from Homeland while abroad.